On April 25, the House of Representatives passed a bill that would override a federal district court decision mandating dam operators spill more water over dams to aid imperiled salmon. While the bill still has to clear the Senate before it becomes law — which could be a tall task, given the thin Republican majority and opposition from Northwest senators — it would lock in place management plans that a judge found violated federal environmental laws. 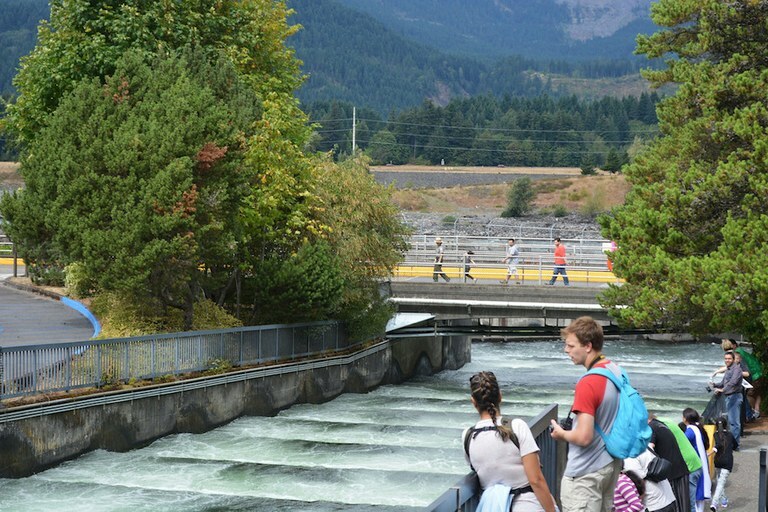 Visitors to Bonneville Dam on the Columbia River learn about the fish ladders at the dam. Federal agencies manage the dam system and create operating plans that are supposed to balance efficient dam operations with adequate protections for endangered species. In the case that this legislation would overturn, the Nez Perce Tribe, conservation organizations and the state of Oregon argued that those plans — a perennial subject of litigation — didn’t do enough to protect salmon and other endangered species. In 2016, a federal district court judge ruled that they were right and that dam managers must spill more water over the dams for salmon. That decision didn’t sit well with Republicans who, under the leadership of Rep. Cathy McMorris Rogers, Wash., are pushing back against it. The strongest proponents of the bill were upstream Republicans, who assert that the judiciary overstepped in ruling against the federal management plans. The bill would enact the operating plan devised by federal agencies in 2014, until a new plan, due in 2022, comes into effect. The legislators argue that the 2014 plan — which, during the floor debate on the bill, they repeatedly highlighted was written under the Obama administration — represents the best available science and complies with federal salmon protections. The spills ordered by the judge wouldn’t necessarily help salmon and would cost ratepayers $40 million in lost hydroelectric revenue, McMorris Rogers said. 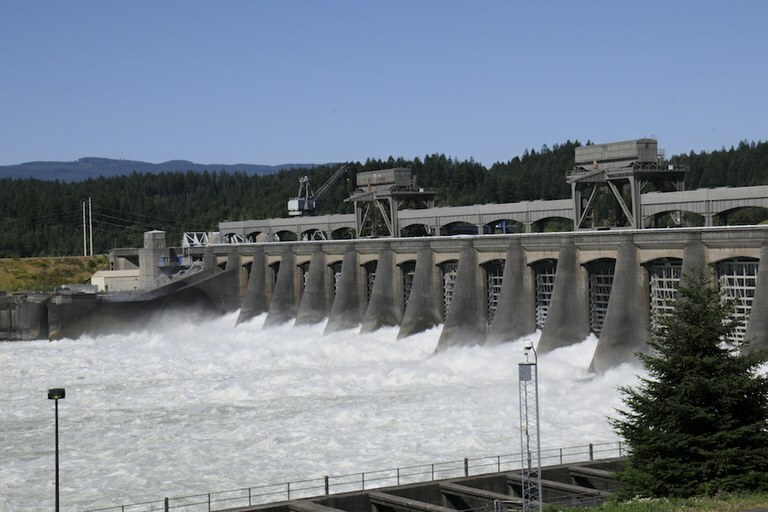 A study by the NW Energy Coalition, however, says the electricity generated by the lower Snake River dams could be replaced at low cost and without adding any fossil fuel power plants. Bonneville Dam in Washington state, the lowest major dam on the Columbia River. Oregon Rep. Kurt Schrader, the only Democrat to voice support for the bill on the House floor, said the bill would “let the experts do their job” and pointed to sea lion depredation, rather than dams, as a major cause of salmon declines. Democratic lawmakers who spoke in opposition to the bill emphasized the necessity of protecting salmon populations. Oregon Rep. Earl Blumenauer, D., said the problems on the Columbia have few good answers because we have made more commitments “than the mighty Columbia River can deliver on.” He asked lawmakers to reject the bill, respect the ongoing legal process and refrain from intervening on an issue that has serious legal obligations to treaty rights and endangered species protections.